Lady Lever has recently received a generous grant which will hugely benefit the gallery’s collections and the visitor experience. A Napoleon death mask, exquisite Chinese porcelain and world-renowned Wedgwood jasperware are some of the incredible members of this collection, amassed by one man, William Hesketh Lever. 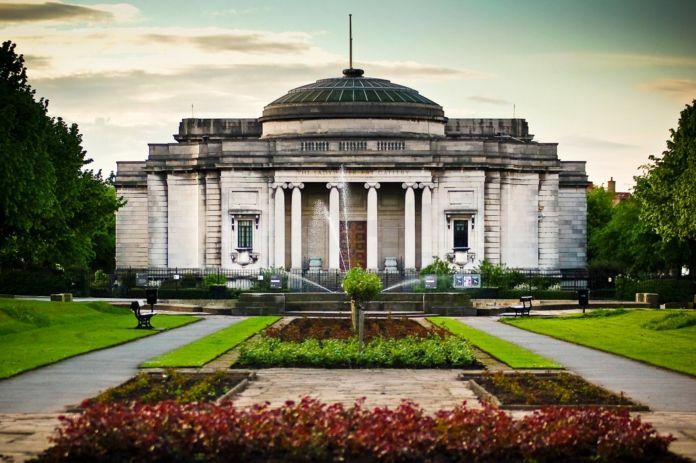 The Lady Lever Art Gallery has received £1.2m backing from the Heritage Lottery Fund to go towards a stunning redisplay of more than 1,500 items of fine and decorative art. The grant will also go towards returning the galleries in the South End of the Lady Lever to their former Edwardian glory. The restoration encompasses 500 square metres of gallery space- a revamp of more than a quarter of the venue. Wedgwood Rooms – two interlinked rooms displaying the gallery’s astonishing Wedgwood collection. In 1905 Lord Lever purchased a large group of beautiful ornamental ware, which is now regarded as the world’s finest collection of Wedgwood jasperware. 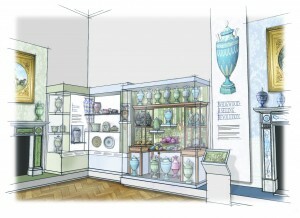 New displays will highlight very rare objects, such as two copies of the celebrated Portland Vase and three (of possibly only four in the world) complete jasperware fireplaces. Eighteenth Century Room – including some of the most outstanding examples of English 18th century furniture in the country. The display in this room will explore female portraiture and the lifestyles of women during this period. Chinese Rooms – two interlinked rooms will demonstrate the importance and influence of Chinese ceramics on European art and taste. A rich collection which includes 17th-18th century porcelain (Kangxi, Yongzheng and Qianlong periods), reverse paintings on glass, cloisonné, jade, snuff bottles and earlier ceramics of the Han, Tang and Song dynasties (2nd century BC – 14th century). Chinoiserie Room – a new room exploring the ways in which European artists re-interpreted oriental designs and decoration in objects made in the West. Much of the gallery’s Chinoiserie furniture will be displayed together here for the first time. Napoleon Room – a dazzling display of furniture and artefacts related to Napoleon will be given new life as visitors will be able to get much closer to the objects. The room is not only a demonstration of Lord Lever’s eclectic taste, but also his drive to collect, assemble and share those things which inspired him most. The Sculpture Gallery and Vestibule – refurbishment of the stunning south dome will create a dramatic backdrop for fine examples of Victorian and early 20th century sculpture. While the plans for the south vestibule will connect the gallery with the architecture of Port Sunlight village. The HLF grant will also go towards funding new educational programmes and resources for local schools and community groups. The £2.8m scheme will be funded through major grants, donations and corporate sponsorship. National Museums Liverpool is extremely grateful for the generosity of all the funders and supporters, including the Lady Lever Art Gallery Patrons and Centenary Club members, without whom this project would not be possible.